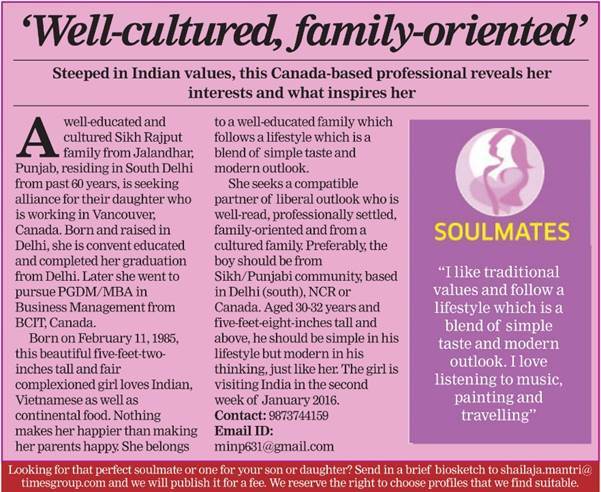 Times Soulmate the Standout Matrimonial Advertising in Times of India. 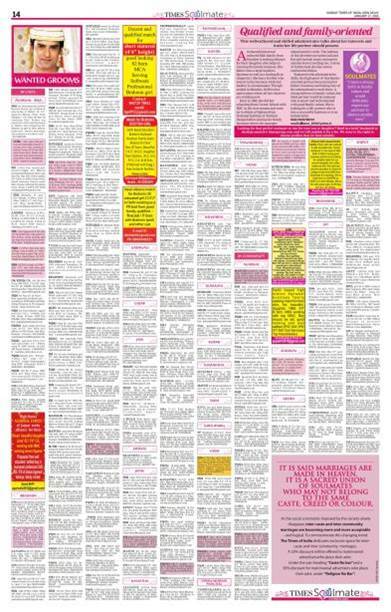 Times Soulmate a new unique advertising option by Times of India which stand out Among the rest of the ads in the Matrimonial Section in the newspaper. 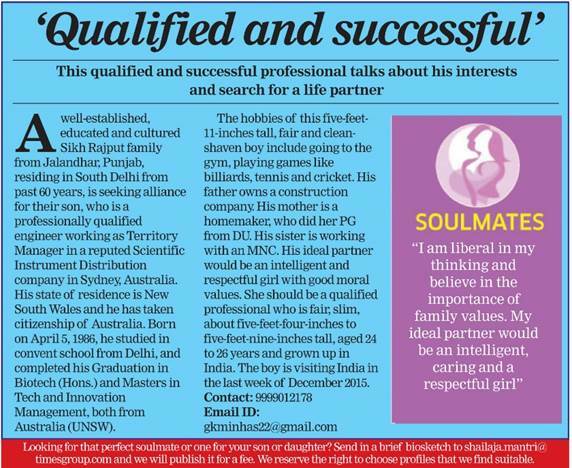 Times Soulmate provides a platform for individuals and families to search and find an ideal life partner. Times of India carry this option in a space size of 130 sq.cms, which ensures that you have ample space for all details including the option of photograph to be covered in the special space allocated to you. So, thinking how to advertise in Times Soulmate? Its easy to advertise in Times Soulmate. 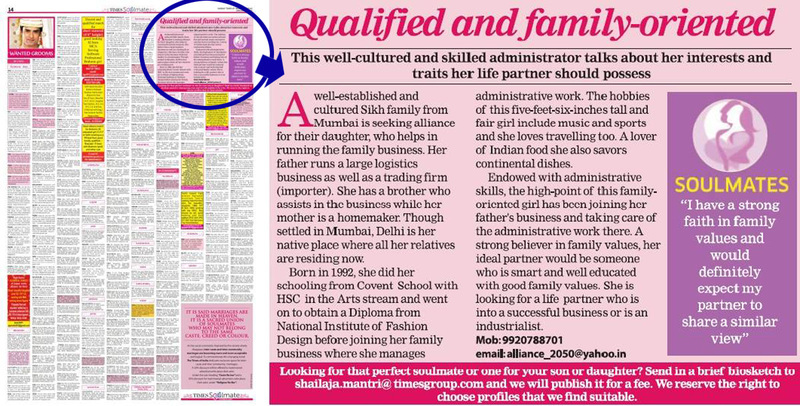 We take care to co-create your profile in a long style editorial based format, thus offering you mileage and enhancing your profile as compared to a regular classified Matrimonial Advertisement in Times of India. Inputs required from you to co-create your Soulmate edit based Ad. About Family and Family Background. Anything that you would like to add. Where all you can Advertise? 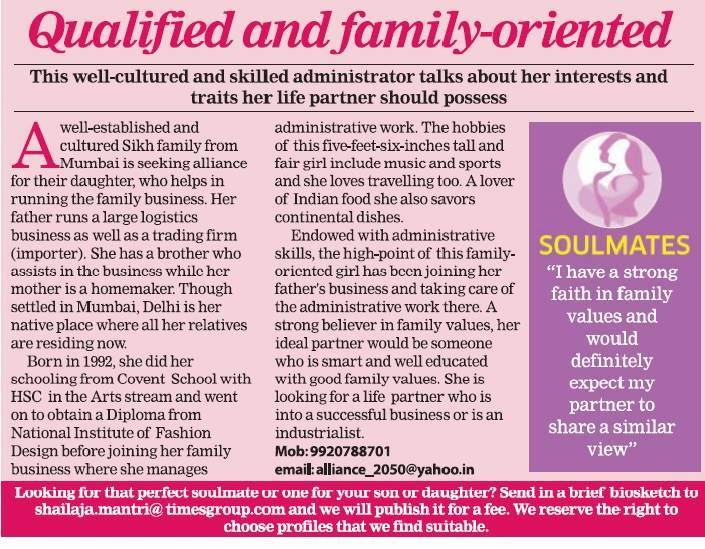 You can advertise Times Soulmate under Times of India Matrimonial sections in the following cities: Delhi, Mumbai, Bangalore, Kolkata, Pune, Hyderabad, Chennai, Ahmedabad, Lucknow, Chandigarh, Jaipur, Kanpur, Goa, Patna, Bhopal, Kerala, Ranchi, Coimbatore, Bhubneshwar, Guwahati. There are various packages offered for Times of India All Edition, TOI 6 Metro cities + Pune + Ahmedabad, Only TOI 6 Metro Cities, TOI 3 Metro Cities, TOI Western Zone, TOI Eastern Zone, TOI Northern Zone, TOI Southern Zone. 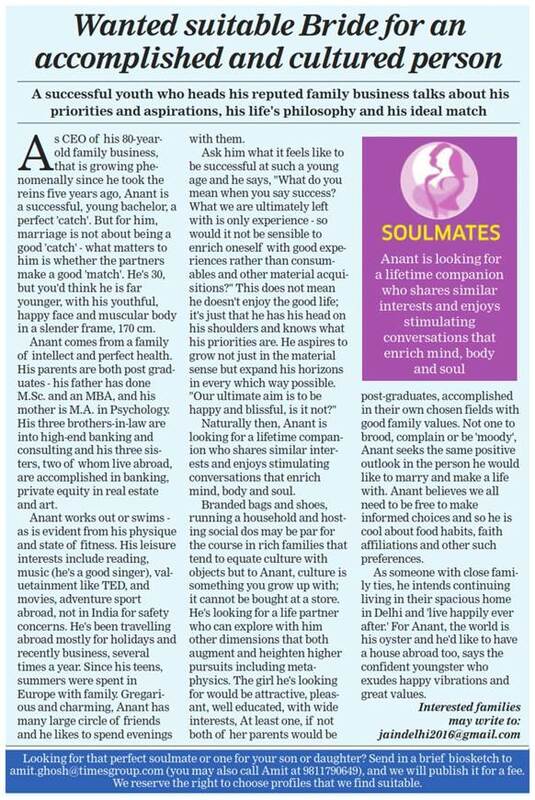 Call us at: 08121003003 or email us at customercare@ads2publish.com to get the cost of advertising in Times Soulmate.